Unique design of SS 304 blades: Designed with the advanced 304 grade stainless steel, the specially manufactured blades of this model offers better life and a far better performance level too. 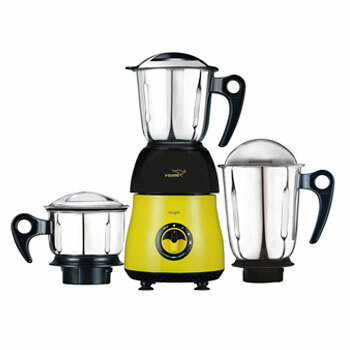 Hands-free grinding with easy lid lock: Relish convenience at its very best with an advantageous hands-free grinding experience, with an added plus of an easy lid lock. LED indicator for power ON and overload: Adding a great deal of elegance to your favourite grinder, the LED indicator is highly useful in that it keeps you on track and updated every single time.